Note: This is a work in progress, the "☁" symbol is a placeholder for where I still need to add text! Q: How do I make a Topic/Thread in the forums? A: To make a topic you click the giant blue "New Topic" button on the upper right side of the selected forum you would like to make a topic in. Q: How do I ping someone on the forums? A: Type @accountname! It will notify the user and link them to the post. Q: When I go to make a structure with my construction worker the item selected for “wood” is not wood, is this the right item? Q: What happens when a house occupied by a villager loses all of it's durability? Q: What happens when a stable occupied by a pet loses all of it's durability? A: The pet will be released!! So keep an eye on your stables. Q: What are all the MiniPets? Q: I sold some items from my Stall but I can’t find my money! Where is it? A: Have you checked your Stall Till? From the “Manage Stall” page click the button at the top that says “Stall Till”! If it’s not in there, then file a report. Q: What do you mean by “The latter includes but is not limited to, upside down text, quickly spinning or bouncing images, backgrounds that are too similar to the text colour, and animated or high-contrast backgrounds.” in the CSS Rules? Q: How long does it take for a Paintie to be accepted in the queue? A: As of now, the wait is typically 1-3 days. Depending on how many painties have been submitted a day (it is constantly fluctuating) it will take a longer or shorter amount of time. One day users may submit a small handful of painties and another day users may submit hundreds. I have occasionally seen things sit for 4-7 days but this is not typical. This is either because the queue has gotten very long or the Paintie Mods are discussing a paintie amongst themselves or with a user through e-mail to have changes made for it to fit within the rules. Q: What is all of the BBCode we can use in the forums? Q: Why isn't my Emoji working? 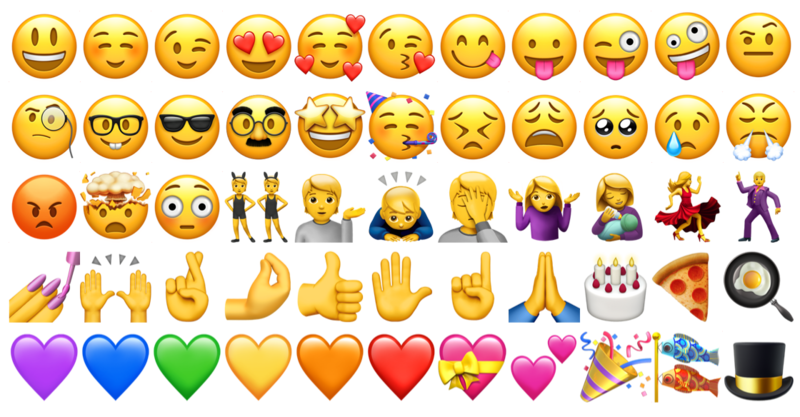 A: Emoji images don't typically work on websites aside from Twitter or other sites (usually social media sites) with emoji coded into them. Since it needs to be coded into the site for them to work, they do not currently work on Furvilla. There are a few "Emoji" that work everywhere because there is a symbols font equivalent your browser will source when you post the emoji, which is something that has always worked on all sites (ie. stars, hearts, etc.) but most don't work across the board. Sometimes your browser will replace a symbols font image with an emoji image (I have seen this on Chrome) but it's not something unanimous across all browsers right now and it still won't work with every image. Q: What is the wardrobe, and how do I access it? A: The wardrobe is a feature in the game for your villagers to be able to use multiple painties! If you select a villager's profile, a link to the wardrobe will be in the upper right hand corner. From this menu, (after clicking that button) if you have purchased wardrobe slots, uploaded multiple painties ,and had them approved, you should be able to select which one you want to be currently active on the villagers! Q: What is the Giving Tree? How do I get to it? This is a good way to share items from your town with people who are either new to the website or trying to complete Quests or Job Achievements! Q: What are Quests? How do I get to them? Q: What is the Change Log? How do I get updates from it? You can also request to be alerted on site when updates are made to the Change Log by checking the "CHANGE LOG NOTIFICATIONS ENABLED" check box under "NOTIFICATIONS" section on your "User Settings" Page. Q: What are the rules for trading off-site? A: In beta, as stated in the rules (under the "Accounts" section), trading off-site is NOT permitted. Once the site is out of beta though, off-site trading will be allowed if the other website permits it, and if it does not allow real life money trading. Q: I want a (insert species here) villager! Will you be adding a (insert species here)? Q: How do I buy FD? Q: What happens to my FD if my Paintie is rejected? Q: What are the determining factors for a Paintie to pass queue swiftly? Other than following the rules, how many Painties are in the queue can effect the amount of time it takes for your Paintie to be processed. Currently, it should never be longer than a week and averages 1-3 days to get through the queue. Q: How do I submit a bug report? A: Scroll down to the bottom of any page and select "Contact Us". On the Contact Us page, use the drop down to select "report a bug or exploit" and make a thorough write up about the bug you are experiencing! This will ensure that the programmer receives the information. If you think that screenshots will help explain your issue, those are very useful for debugging and you can link them in your bug report. Bugs are issues with the website/game including but not limited to: error messages, balance issues, exploits, broken links, broken pages, functionality issues, typos, old/outdated information, and basically anything not working properly or as expected on site! Q: Why are some Minipets labeled as "limited"? A: "Limited" Pets are pets that were given away as contest prizes! Q: What does it mean if a Minipet is labeled as common, uncommon, rare or super rare? Q: How can I earn FD? Q: What are the perks to buying FD through the site? A: This is the fastest way to earn FD on site. It's also a good way to tell the developers of the site that you appreciate this free-to-play game! You can use Paypal and Stripe to buy FD and it's reasonably priced for the quantity you receive to ensure that it's affordable. (ie. $5 USD can get you enough FD to upload 2 Painties!) The main draw of obtaining FD is to buy Paintie uploads or items in the FurDollar Emporium. Q: If I transfer my OC onto a Paintie base, does that mean Furvilla owns my character? A: Nope! You still retain the rights to your original character. Q: What are account infractions? Q: How do I find out what and where my account infractions are? Q: How do you repair a house/pot/stable in use? Go to your construction worker's profile and make them your active villager. Then go to the page with the house/pot/stable you want to repair and click it. An option to "repair" should be visible. Pages with repairable items are within the Animal Husbandry career of a villager's profile, within the Herbalist career of a villager's profile, and on any villager's page which is in a house that is not on a FurCash Slot. Use the Maintenance Market Page to find a villager available to repair your item. Houses can be repaired at any time for any villager via the Maintenance Market regardless of what villager you have set to active. To repair Animal Stables and Herbalist Pots though, you must make the villager active that uses the pots/stables in their career before selecting “Repair Item” from the Market. Q: What is the difference between costumes and Painties? A: Painties can be applied to all site villager bases. Painties modify the look of a villager base and are uploaded by the user. Costumes (and morphing potions) are items that can be applied to a villager which changes what the villager base is on that specific villager. Costumes can only be applied to specific species right now and there is only one color option for each costume, However, after applying a costume (or morphing potion) you can make a Paintie using the costume base to customize it. The Paintie that is active on your villager must use the base of that costume (or new species) that the villager is currently set to. Costumes can also boost career stats! Q: How do you mass-export Stabled Minipets? A: At the bottom of the Animal Husbandry career page, there are 3 buttons: Manage Stables, Import Animals, and Import Stables. To mass-export Stabled Minipets, press the Manage Stables button. On this page you can check the "Export Animal" box on as many pets as you would like to export. You can also mass export stables from this page, stables and pets at the same time, and sort the order of your stables on this page! The other two buttons at the bottom of the Animal Husbandry career page are for mass importing Stables and Animals from your inventory. Q: If I block someone, can they still see my site activities? A: Nope! If you block someone, they cannot see your profile, comments, forum threads, forum posts, villagers, or painties. Q: How do I trade multiple items to another user? How do I accept or start a one-way trade for multiple items? Q: Can I sell the painties I have made, and make custom painties for users in return for real money? A: Yes! This is 100% okay! Q: What is the Bank? How does it work? A: It functions exactly like a real bank! Put your money in it, store your money in it, take your money out as needed. Q: What is the Menagerie for? A: The Menagerie is for collecting animals/minipets and displaying them! You can display a male and a female of each pet. Q: I am sensitive to gore, profanity, and/or substance abuse, is there a way to block these types of painties? A: On the [url]=https://www.furvilla.com/account]"User Settings"[/url] page, scroll down to the "Browsing" section, and there should be some options to filter out these types of painties. The options are labled: Hide Gore Painties, Hide Substance Use Painties, and Hide Profanity Painties. If there is a paintie that you see that you don't want to see for any other reason, there is a block button on every paintie page that you can click to block that paintie. Q: What Timezone does Furvilla run on? Q: How many times am I allowed to change Villages in a month? A: Twice a month! Village moving cooldowns expire on the 1st and the 15th of each month. Q: How does the House and Item Durability Potion Work? "Houses vary in durability depending on the skill level of the construction worker has built. They will range from 50 to 250 durability, but maximum durability can be increased ten points with a House Durability Potion﻿. Houses occupied by active workers lose one durability point every day. When durability reaches zero, the villager occupying it will become inactive and unable to work, and the house breaks." Q: What happens when I remove a Costume from a villager? A: The costume will be destroyed. Q: What happens to my Villager Houses when I switch Villages? A: You will still have all your houses! If you want to replace the house on that villager though, it will have to be a house of your new village. Q: How can I change my profile photo/avatar and forum signature? A: Go to the Forums and click on the "Settings" button with the gear on it. From that page you can create a signature in the top box labeled "SIGNATURE". Below that, in the "AVATAR" section, you can upload a 100 x 100 pixel png image. You can also change forum vistas, customize your font in the forums, and customize other forum settings. Q: Is copying CSS from other user's profiles through view-source okay to do? As long as I don't sell it or claim I wrote it? A: No, this would be considered stealing someone's custom CSS code! There is however a lot of Free CSS on site here! (click the word "by" next to the names to go to the links) And a helpful guide here! And you could always ask questions in the Coding Discussion forum or find something in the Coding Sales forum! Q: Why can’t we use parts from Rare Species or Costumes on Painties that are not of the rare-species or wearing the costume? Q: Which MODs are currently online? Q: What do MODs do on site? What is their function? Q: Who are the MODs? What does each MOD do? A: Click this link to learn about who the mods are! Q: There is something I have a question about that isn't in the FAQ, where should I go? A: Here are some helpful links that may help answer your questions. If none of these links help and you think another user can help, make a post in this forum!